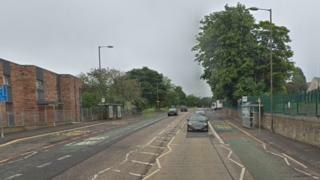 A motorist has been clocked driving at double the speed limit along an Edinburgh road. The driver was clocked doing 60mph on the A701 at Liberton Gardens on Saturday at about 19:50. The road has a 30mph speed limit. The driver has been reported to the procurator fiscal. Insp Roger Park, of Police Scotland, said: "I'm disappointed to hear of another driver being well in excess of the speed limit in a built up area." He added: "The 30mph limit is in place as drivers need to be able to react to changes in road and traffic conditions. If they are above the speed limit, stopping distances will be greater. "This motorist's disregard for the speed limit has put all road users in danger."